Due to the construction of a new bypass road, the amount of traffic decreased through Harmelen. This decline was an opportunity for the city to recreate the main street in order to allocate space to the pedestrians and the cyclists. 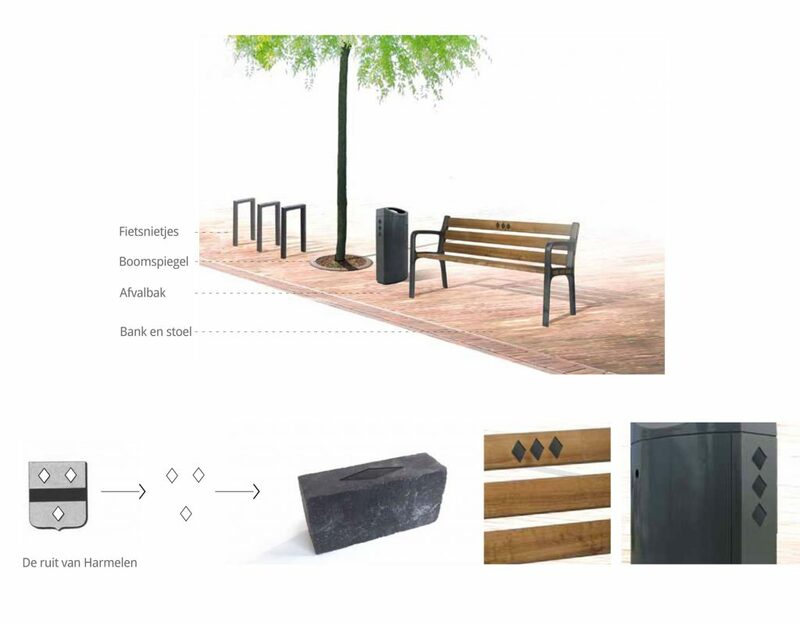 B+B created the new plan for an upgraded public space with more attention to passersbys on bike or foot. The Dorpsstraat runs parallel to the Leidse Rijn river and the towpath. These three historical ribbons define the structure of the village. 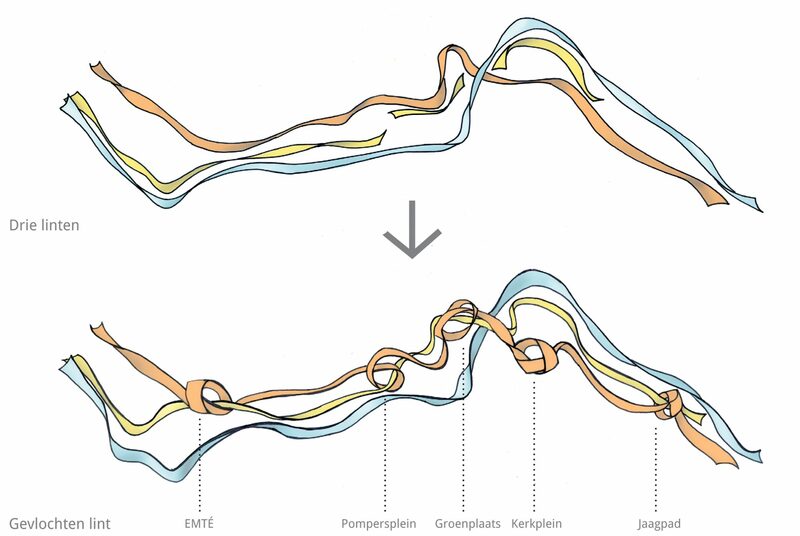 By knotting the three ribbons, a ‘braided ribbon’ is created, with various routes and places to be. The squares along the Dorpsstraat then become the connecting links. The Dorpsstraat has a tarmac driving lane and wide sidewalks paved with red bricks. The street flows seamlessly into the different squares, that are also paved with red bricks. The church square is the highlight of this series of squares, with exceptional planting and pleasant areas to meet and be active. 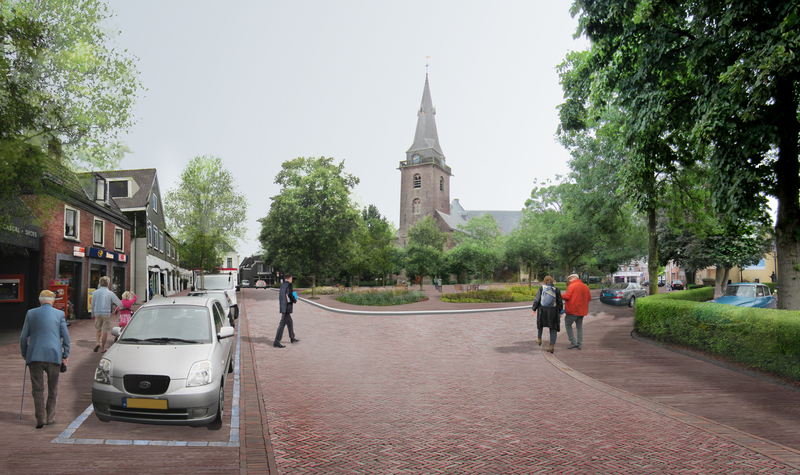 Along the Dorpsstraat, dramatic trees are added on strategic spots. 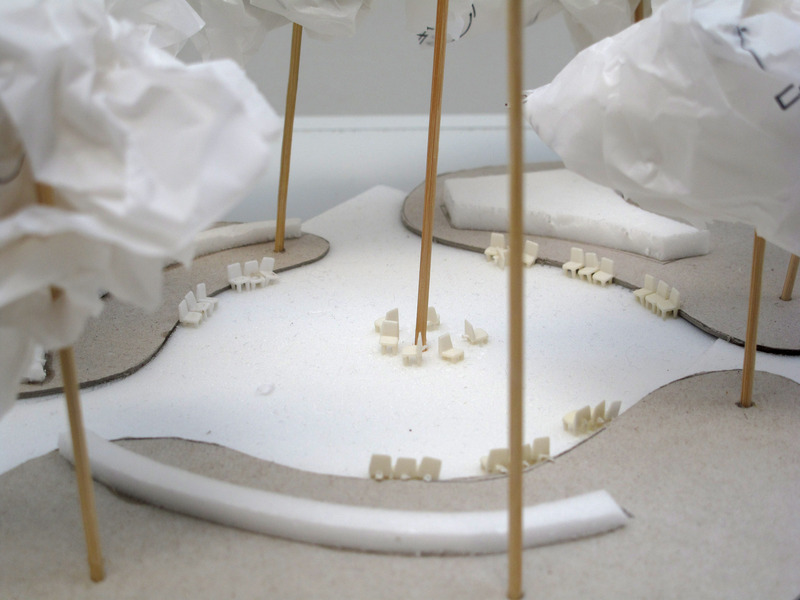 The trees mark bends and corners while framing the view of the landscape. The diamond emblem of Harmelen is incorporated into the landscape. It appears on the street furniture, on the side of the waste bins and in the pavement. These small details create a timeless and cohesive image of the route along the Dorpsstraat.